EPA Administrator Scott Pruitt has proposed a formal Red Team / Blue Team exercise regarding climate change. However, the recent experiences with hurricanes Harvey and Irma have spontaneously initiated an informal Red Team / Blue Team exchange in the media and the blogosphere. The informal Blue Team struck first, assisted by the media, with Dr. Michael Mann carefully opining that the hurricanes, while not caused by anthropogenic climate change, were at least made more severe as a result. Primary blame was assigned to warmer air and water temperatures, which would be expected to increase the quantity of moisture in the atmosphere, thus increasing the potential rainfall produced by hurricanes. Blame was also attributed to increased sea levels, which would be expected to increase the extent and impact of storm surge. Mann failed to distinguish between natural and anthropogenic climate change, though there is no indication that the relatively steady sea level rise over the past 150+ years is attributable to anthropogenic causation. The media and numerous non-climate scientists were less careful, in one case (Eric Holthaus) declaring that “Harvey and Irma aren’t natural disasters. They’re climate change disasters.” Many were quick to criticize the Administration for withdrawing the US from the Paris Accords. The media, however, largely failed to mention that there had been a twelve-year period, prior to Harvey, during which no category 3 or greater hurricanes had made landfall in the US. They did, however, repeat frequent claims that climate change would make hurricanes more frequent, though these claims are based on unverified climate models. The informal Red Team responded quickly, with publication of an e-book by Dr. Roy Spencer, a blog post by Dr. Neil Frank, and statements by Dr. Judith Curry and Joseph Bastardi of Weatherbell Analytics, among others. Their messages were basically that climate change does not cause hurricanes; and, that there is no clearly established linkage between anthropogenic climate change and hurricane frequency or severity. As interesting as this informal Red Team / Blue Team exercise has been, it strongly illustrates the importance of a formal Red Team / Blue Team exercise. The truth lies somewhere; and, it would be nice to know where. 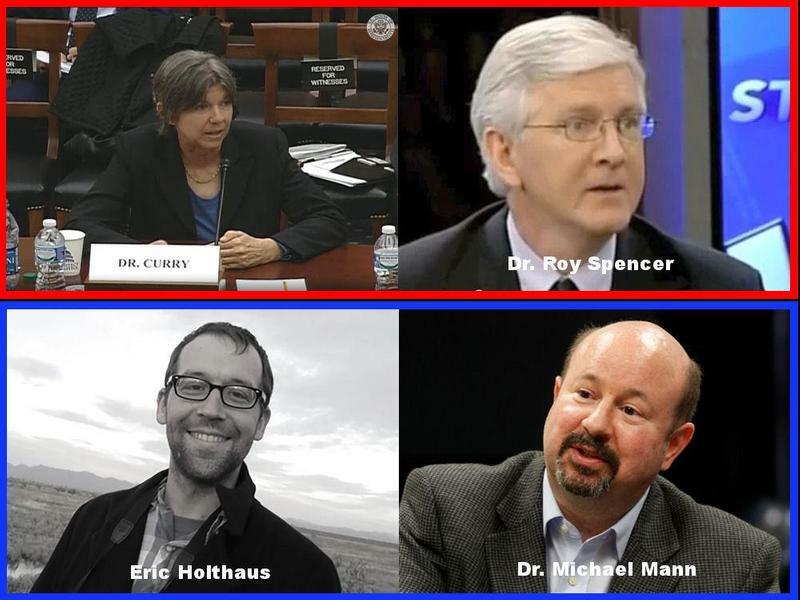 Thank you for visiting https://www.therightinsight.org:443/Red-Team-Blue-Team-Public-Climate-Debate! Be sure and revisit therightinsight.org frequently for content updates and more.